Oregon is finally receiving some well-deserved recognition for the caliber and creativity of its restaurants, and many of them offer their attractive interiors as private event venues. 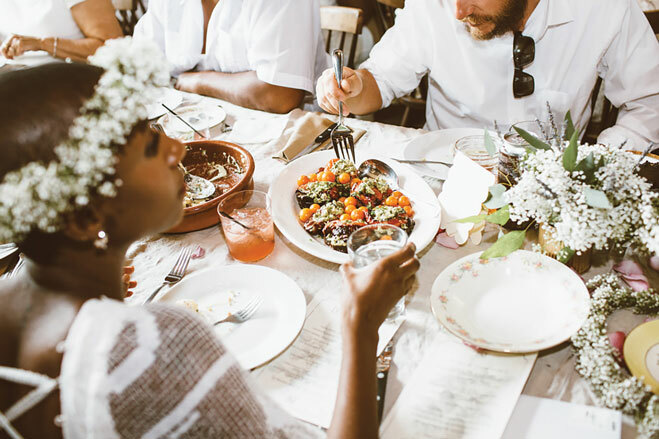 These restaurants go beyond the reception and will help you host your entire ceremony; most of them even offer on-site event coordinators and additional services, from AV equipment to photography and flowers. In the heart of Northwest Portland, BridgePort Brewing is Oregon’s oldest craft brewery. Its brick-walled private event spaces come with modest food and beverage minimums, and the larger Heritage Room can accommodate groups of 115. The flexible menu is full of beer-friendly variations on standard pub fare. If you’re looking for an ocean sunset, Pelican Brewing Company in Pacific City is the perfect wedding venue. Guests who get to town early will be amazed by the unique fleet of flat-bottomed dory boats launching out across the surf, and with Haystack Rock in the background, dinner is sure to be a memorable affair. Award-winning beer, quality pub grub and a patio that meets the sand make this the perfect package. Add a mountain vibe to your event by heading out to Deschutes Brewery in Bend, where couples can request a custom beer-pairing menu from the 150 craft brews made here each year. Event spaces at the downtown pub or above the brewery have a capacity of 50–100 for seated dinners. And couples who just can’t narrow down that guest list should check out the “industrial chic” of the Portland Brewing Company, which can accommodate groups of as many as 500. Using a wood-fired oven as the primary heat source in the kitchen, Ned Ludd in Northeast Portland offers a hyper-seasonal menu that is incredibly inventive and flawlessly executed, all from fastidiously sourced local ingredients. 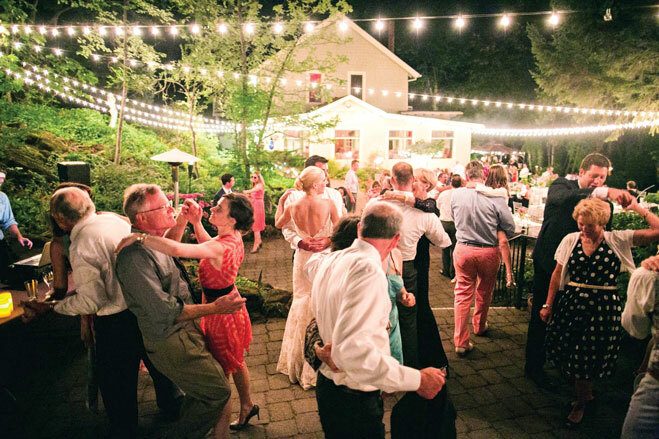 Couples can reserve the adjoining Elder Hall space for as many as 54 guests, or check out the custom canvas tent over the patio for a more rustic approach. Wild Pear Restaurant and Catering in Salem is similarly dedicated to the locavore mentality. “We really try to support our local economy, and always try to capture the seasons in our menu,” says catering coordinator D’Avonie Greco. Everything on the Mediterranean- and Vietnamese-inspired menu is made from scratch, using ingredients sourced locally. The event space seats 70, and catering can accommodate as many as 300. 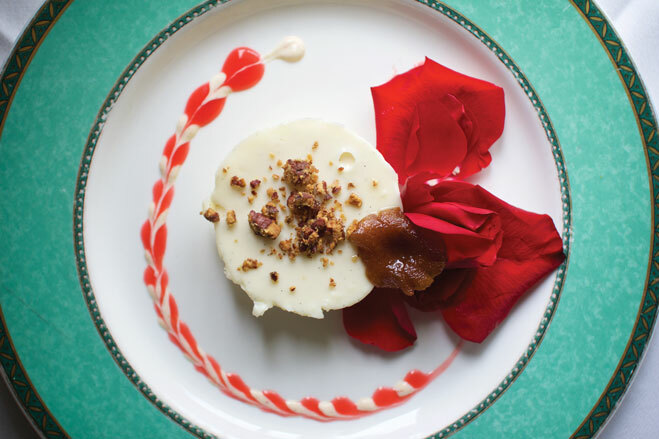 Eugene’s Marché turns this dedication to local ingredients into elegant French-inspired bistro fare. Details such as the wood-fired oven and the outdoor dining space tucked into an adjoining herb garden help bring the scents of France to the Pacific Northwest. ¡Oba! in Portland somehow manages to keep the atmosphere light and festive while serving exquisite nuevo Latino fare in a setting reminiscent of glamorous old Havana. Its craft cocktails are creative, and ingredients are locally sourced and seasonal. Couples can choose from a variety of room configurations to accommodate 20–80 seated guests, or go for the restaurant buyout and treat 250 lucky friends to a stunning event. Long a pillar of the dining scene in Portland’s Pearl District, Andina serves traditional Peruvian food with an elegant fine-dining approach. Whether in the intimate 14-seat La Bodega, or in one of three larger spaces accommodating as many as 66 seated diners, couples can count on delicious, colorful food and an expertly chosen wine list. Whether it’s the customized signature cocktails from house-made ingredients, the made-from-scratch seasonal menu, the house-made pastries delivered to your room each afternoon (should you decide to stay at the inn) or the care that comes from a family-run business, Alchemy restaurant in Ashland stays true to its guiding principle: to take ordinary ingredients and transform them. “It’s a sophisticated, contemporary feel in a vintage building,” says owner Laurie Gibbs, and its indoor spaces have a capacity for as many as 40 guests, with additional garden venues around the building. Tucked away in an old-growth forest at the edge of Hood River, Stonehedge Gardens is nothing short of enchanting. The large outdoor terrace, hung with twinkling café lights and winding stone pathways, is sheer romance. Couples can reserve the entire property of the elegant and historic Joel Palmer House in Dayton for an upscale fine-dining experience. Although the restaurant is intimate, outdoor seating accommodates 150. Every detail of the Hamley Steakhouse in Pendleton evokes the Old West, from pressed tin ceilings to a restored bank wall. In addition to options from a menu of high-quality ranch-style food, couples can choose from several private event spaces with seating capacities ranging from 16 to 200 people. You and your guests can then dance the night away in the Slickfork Saloon. The Blacksmith Steakhouse in Bend offers a similarly hearty western menu, with a slightly more contemporary atmosphere, and restaurant buyouts have a 100-person capacity. 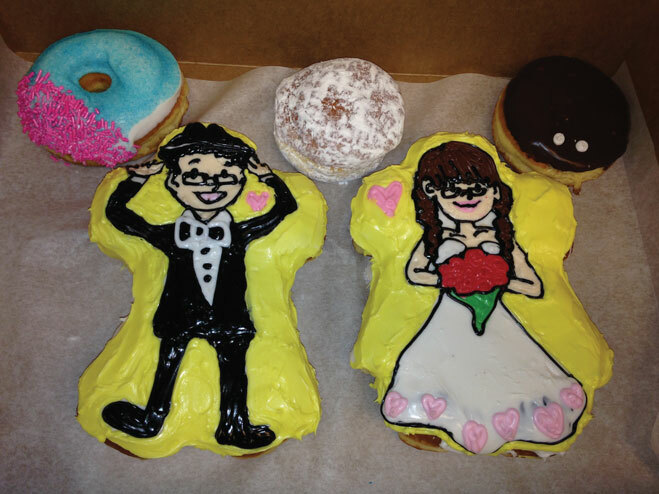 For something a bit more playful, consider one of Voodoo Doughnut’s very affordable wedding options. From an intimate legal ceremony for nine at the original Portland location to a legal ceremony for 40 at its other Portland location or in Eugene, couples can score an unforgettable event for less than the price of an iPhone—and some locations even have a jukebox and pinball. The tiny private dining space adjoining Luce’s already small corner restaurant in Portland is as unexpected as the food: deceptively simple and yet utterly authentic. Couples will have the sense that they and their 48 guests have arrived in Italy. With a menu full of Northwest classics made with local ingredients, such as Oregon hazelnuts and Rogue Valley cheese, Bentley’s Grill in Salem offers two beautiful dark-wood private dining spaces in the restaurant for groups of 15–30. 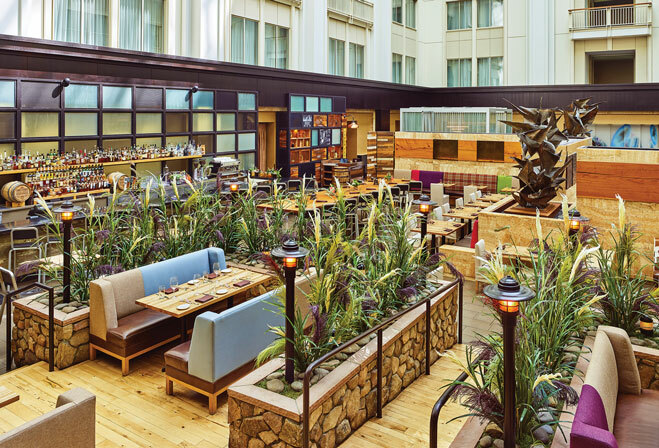 Larger groups can forgo the clubby atmosphere of the grill and celebrate in other spaces within The Grand Hotel. 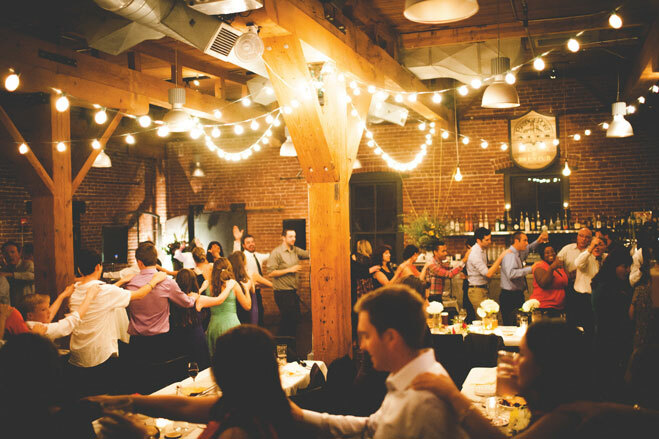 At Portland’s Urban Farmer, couples can choose from six private event spaces, the largest with a capacity of 50 seated guests. With its polished contemporary interior and fine-dining attitude, only the menu will remind you that this is a steak house.